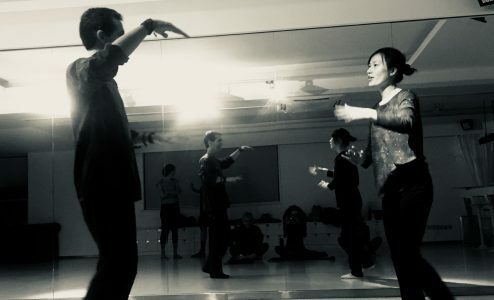 Contage Dharma Dance is a movement form that blends Contact Improvisational Dance, Authentic Movement, mindfulness with dynamic massage, fostering insights into oneself and providing a means for self expression and connection with others. At the core of Contage Dharma Dance is an intention to cultivate awareness in movement and stillness, which includes mindfulness, massage fundamentals, partner activities (sharing weight and counter-balancing), while fostering creative movement. Class participants enjoy a series of exercises that range from stillness in meditation to free-form movement. Classes included both structured and non-structured activities in a safe, respectful space with touch that is enjoyable, fun and healing. Contage Dharma Dance provides team building activities that help cultivate trust, develop interpersonal connection, playfulness and creative expressive movement, dynamic massage and stillness both solo and with other class participants. Contage Dharma Dance can be done by people of all ages and abilities and requires no previous dance experience. There are no prerequisites except an intention to participate, play and move consciously both independently and with others.